Discover your strength and your unique qualities that make you shine. How well do you know your colleague? How well do you know your staff? A connection at deeper level is necessary in every family to quickly manage underlying tensions. Many companies already invest in stress release programs. A very nice evolution ... but if this keeps coming back again and again, there is something fundamentally wrong in our internal and external communication. The white arrow wants to introduce you to some great ways to do thorough work within your company, and to forge a close bond that benefits everyone. A company with happy and powerful people who act in openness is an asset to our economy. These Teambuilding events are not the average standard in the field, we use our expertise in shamanism and ceremonial sessions to work much deeper. 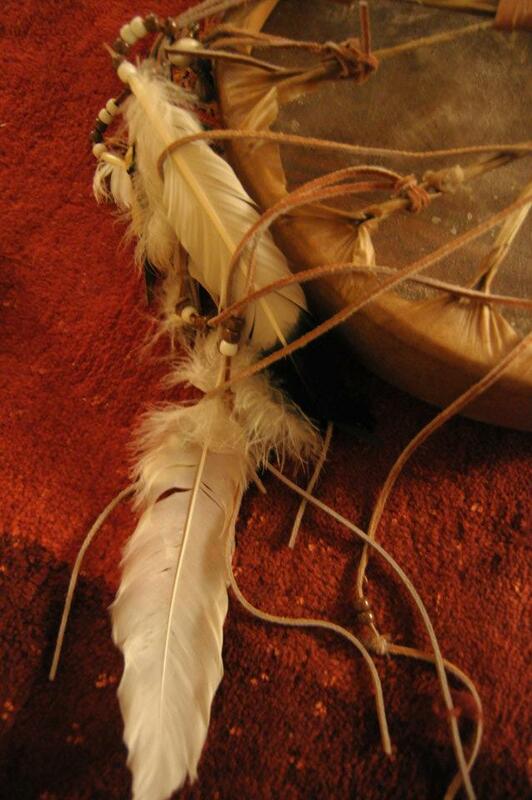 The sweat lodge ceremonies are powerful purification rituals with a long tradition, in which we return to the essence and quiet core of our being. The sweat lodge brings you to your points of work or pitfalls in a very purposeful way. The insight is instant, you can immediately share it with colleagues and hand it over to Mother Earth. Space is being made in you to receive the new. From the secure feeling of being together in the sweat lodge, we get the feeling that everything is possible and that it will finally all become as we wish. Energy is released, themes are touched, openings are made, now you can really get started. The release through our bodies, as it were, peels the layers in our subconscious and brings you closer to who you really are. There is a unique openness within the group where, in trust is shared, stories are told and songs are sung. Playing percussion is very accessible and is therefore an effective metaphor for collaboration and coordination; within a short time, a swinging rhythm is created that we take as the basis for further work forms. The choice depends on the purpose of the session. Different rhythms are played together, by tuning in on each other the whole automatically finds a balance. That creates astonishment and releases a lot of energy in a group! By surrendering yourself to the group feeling you experience that the whole means more than the sum of the parts. Group formation arises spontaneously by enjoying fun and not only being cognitively involved with each other, there is also a lot of laughter! Playing West African percussion or djembé is very physical, and creates a flow of stress and tension release. You can fully enjoy yourself, and as the speed is increased, the intensity increases. African rhythms are made up of polyrhythm’s, which means that different accompaniments on different instruments are necessary to arrive at a complete rhythm. From experience, This promotes the group feeling, and team building is done in this unique way. You’re not attending a classical concert from your chair. Here you lie on a floor on a mat and let yourself softly drift away on the tones of worldly instruments. The sounds and chants bring you into a dreamlike state in which the deeper work with yourself takes place. 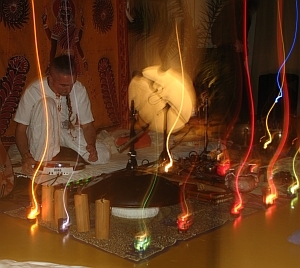 These sound healing concerts are ideal to combine with one of the other workshops in order to conclude the intense physical experience of eg a sweat lodge or a djembé session. 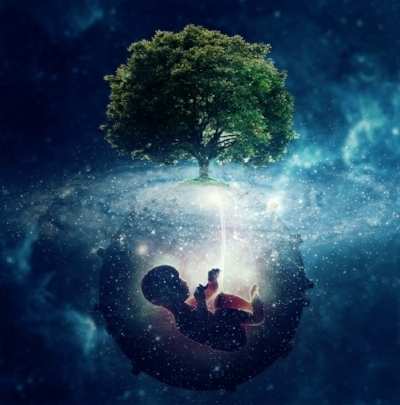 Breathing sounds, rebirthing or transformational breathing is essentially a breathing technique that aims to make contact with the own life energy in a simple way. In practical terms, it is the connection of the inhalation with the exhalation in a constantly relaxed rhythm. In a series of supervised sessions, the aim is to free the breath from blockages, so that a natural, complete breathing occurs. This is a great experience to have in one session, but even better if you can offer this on a regular base on the floor. Our important way of working is through shamanistic ceremonies. A thorough work where there is no room for rational considerations. Connect with the elements, the spirits and your feeling. Surrender to that which is and trust in what will come. These ceremonies can be put together in a unique and appropriate way so that they meet your needs.